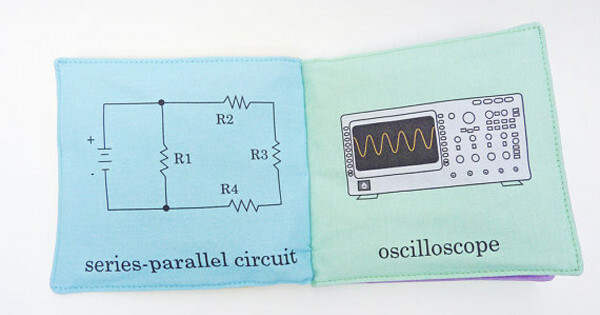 These handmade plush science books are ideal for budding engineers, biologists, astronauts, and even surfers! 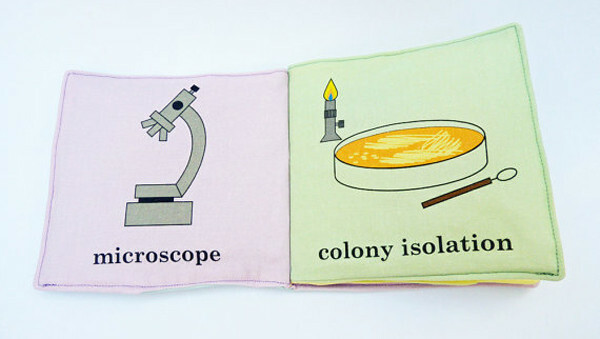 They also make for a quirky fun gift for any science-loving parent-to-be. Let’s face it, babies are not so much interested in the content of books as they are with how they feel, taste, and sound. 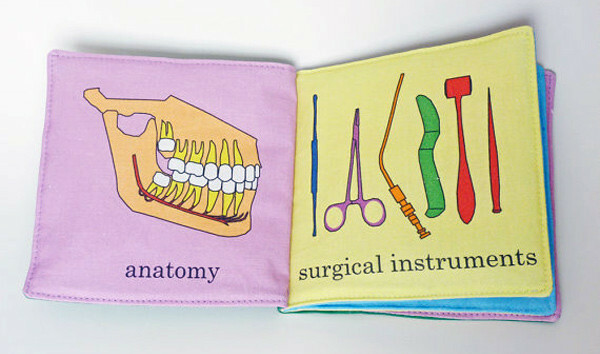 These lovely handmade books blend fun content for adults with a sensory experience for baby, creating an enjoyable reading experience for all. 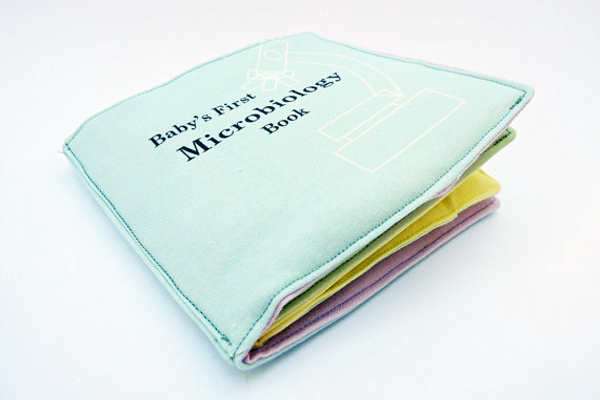 Verdant Violet books are made from cotton, giving it a soft touch suitable for the tiniest of hands. 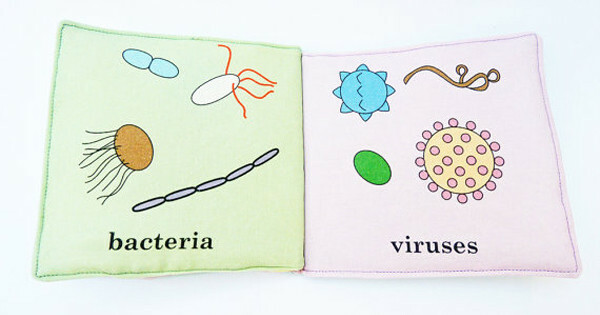 Made with water-based inks with no added chemicals and food-grade plastic sewn inside to create a crinkle sound, these books are both child safe and eco-friendly. Full of colourful pictures with contrasting patterns, these beautiful books are perfect for developing minds. The soft touch of and crinkly sound create an all-round sensory experience that baby will love. The delicious humour of these books lies in their ability to present complex topics in storybook form. There are currently six subjects available: Microbiology, Electrical Engineering, Naval Engineering, Astronomy, Surf Science, and of course, Oral and Maxillofacial Surgery. 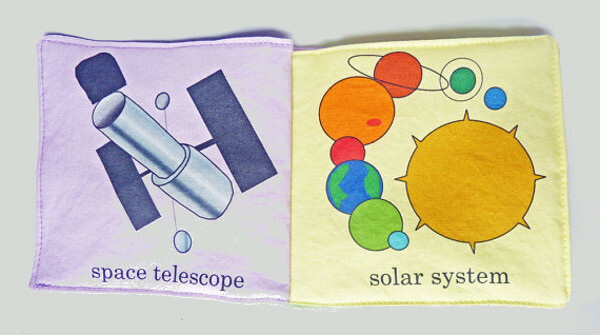 Enjoy a laugh as your budding genius learns about stellar evolution and colony isolation. All Verdant Violet books can be purchased through their Etsy store. Each book is priced at $58.37, plus shipping, and can be delivered anywhere on this oblate spheroid (also known as the world). Creator, Gena Mitchell, is always selling out and making new designs, so subjects available may differ from the time of writing. If you love these books, you may also love these beautiful handmade periodic table shoes for babies. Or if you are seeking science books for older kids, see our recent reviews of Tiny: The Invisible World of Microbes and Nature Anatomy.